Despite my 7-1-2 record prior to the 1K, I still managed a pretty pathetic 2-3 showing in Indian Trail. Why? Mostly because of the Jund mirror and my inexperience with the matchup. In game one I played some early removal to slow him down but then got stuck on 4 lands and drew four five drops in a row (2 Garruk and 2 Thragtusk). 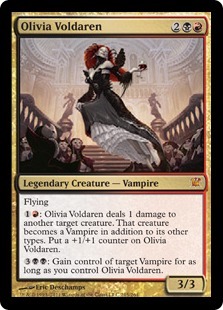 I never managed to play any of them, but Olivia Voldaren came down and took over against his one toughness army. I think I drew the fifth land on the last turn of the game, but by then I was swinging with a 7/7 flyer against an empty board. Game two was much less interesting, when my opponent mulliganed to five and got stuck on 2 lands with lots of three mana creatures in hand. Land troubles ruined my day in this match. I went to six in game one and put up a fight, but I kept drawing Farseeks when I needed to hit land drops naturally. If I could have played a land and removal on several critical turns, I might have had a chance. Instead, I had to choose between removal + missed land drop or Farseek + life loss. It just didn't come together. In game two, my seven card hand had a Blood Crypt and two Farseeks for mana. My six card hand had Blood Crypt, Kessig Wolf Run, and Farseek. After going to five, I finally saw usable mana, but I never drew enough disruption to beat his Elf -> Gyre Sage -> Strangleroot Geist -> Hellrider -> Ruric Thar start. At the end of the second game, I had 4 lands in play (Rootbound Crag, Woodland Cemetery, Forest, and Kessig Wolf Run), but I was stuck with Bonfire of the Damned, two Thragtusks, a Pillar of Flame, and a Liliana of the Veil in hand. Neither burn spell would do enough damage to save me, and nothing else was even playable. It was a pretty miserable loss. Rakdos's Return did work these games. I stumbled in the first game, but thought I was back in it when I miracled Bonfire of the Damned to kill his angels and then managed to Rakdos's Return his whole hand away on the following turn. Unfortunately, he topdecked Sphinx's Revelation and got right back in it. Rakdos's Return actually did what it was supposed to do in game two, stripping him of answers the turn before I dropped Garruk and started pumping out an army of beast tokens. At one point I drew three cards, but the army of beasts alone put me far enough ahead to win. Game three I whiffed with an Appetite for Brains but saw Dissipate and multiple Snapcaster Mages. I played around the counterspell twice to resolve the threats I wanted and used multiple X=1 bonfires to pull out the win. I lost both games to Olivia Voldaren. I realized during this game how much I had crippled my deck against Jund the last time I made revisions. I was trying to lower the curve and dropped Putrefy in favor of Doom Blade and Abrupt Decay, but neither of them will kill Olivia! 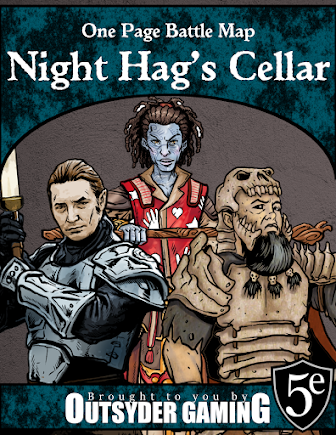 In game two I planned to play Slaughter Games for Olivia and not have to worry about it, but an early Appetite for Brains revealed two Thragtusks in my opponent's hand and I decided to take them instead. As the story goes, he played Olivia a few games later and I never saw an answer. At this point I was frustrated with myself over the last match and with my poor deckbuilding choices. I pretty much lost the game as soon as I realized what my opponent was playing. The first game I lost to bad deckbuilding. Surprise! Olivia took over once again! The second game I might have had a chance in, but I played some incredibly sloppy magic. I was far too aggressive with my own Olivia and got it killed before I did anything more than swing for three. Needless to say, the day could have gone better. I know that I lost two of the three matches to my own errors, so I can correct those. If I decide to play Jund again soon, I'm definitely going to go back and review Reid Duke's videos before I head to the tournament. That guy's advice is golden.